Safely rasies or lowers pH levels in ponds. Two easy to use and safe pH products that will help regulate pH levels in ponds when required. Perfect for ponds in Canada. Add one oz. per 375 gallons of pond water for every .1 pH unit decrease desired. 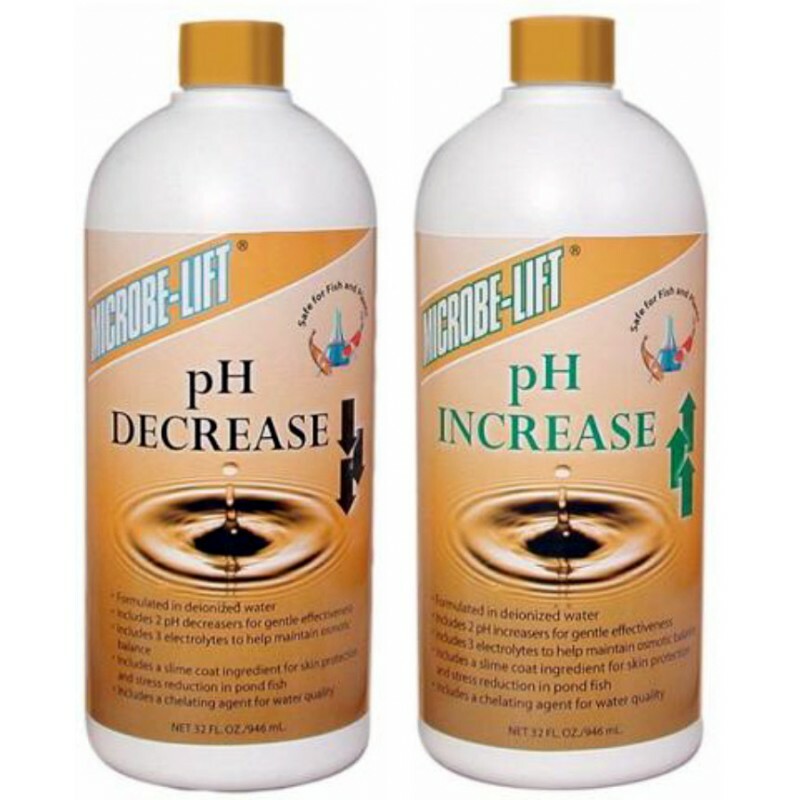 Apply Microbe-lift pH Decrease in several steps and measure decreased pH before next addition. If your pond contains fish and/or plants, do not dramatically raise your pH levels more than .5 pH in a 24 hour period, as not to shock aquatic life and/or fish. Follow package directions. Add one oz. per 375 gallons of pond water for every .1 pH unit increase desired. Apply Microbe-lift pH Increase in several steps and measure increased pH before next addition. If your pond contains fish and/or plants, do not dramatically raise your pH levels more than .5 pH in a 24 hour period, as not to shock aquatic life and/or fish. Follow package directions.